Preferred Plumbing and Heating is the Kenai Peninsula's leading plumbing and heating service company. Founded in 1986, we have over 20 years of history in our community, and we have a reputation for quality work and customer service. Our technicians and sales staff are experienced and professional, and can assist with any plumbing and heating need that you may have. Our technicians will clean and inspect you heating equipment, ensuring that it is operating at its best, and that you do not have any unsafe or incorrect conditions. They will also perform a combustion test on you equipment, showing you exactly what the combustion efficiency of your appliance is. Our service department specalizes in plumbing and heating repair. We have a large stock of parts, including many hard to find repair parts. This means that your equipment can be back up and running sooner without a long, cold wait! Preferred Plumbing & Heating Specailizes in heating system replacement. Call to schedule a free estimate! Bring in your energy audit, we can help you understand it, and explain your options to you in clear, easy to understand terms. Our new construction crews are experienced in all types of residential, commercial, and industrial new construction and remodeling. Preferred's knowledgable sales staff can assist you with all of you plumbing and heating needs. We carry parts for modern and older plumbing and heating equipment. We carry a large selection of heating system repair parts. Even those hard-to-find parts for your old boiler! We have plumbing parts to fit every need. From residential construction to industrial, we have what you need. 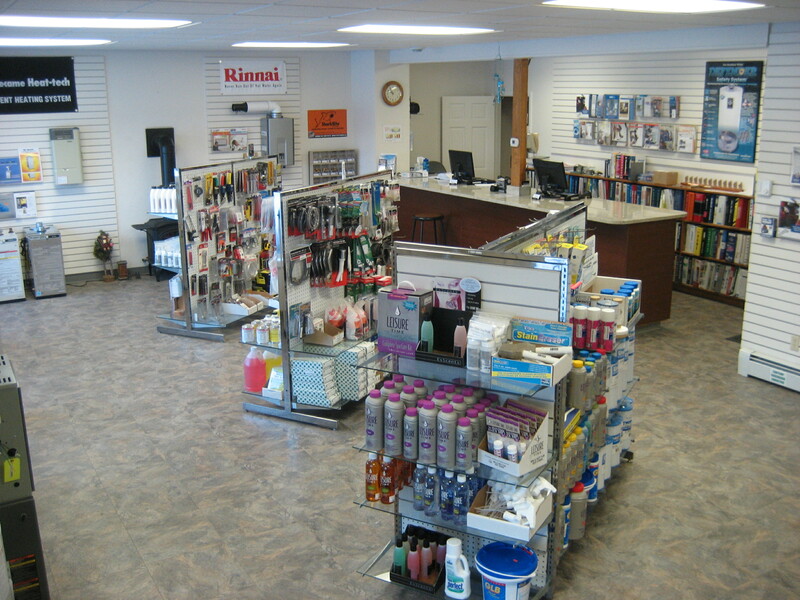 We carry a full stock of spa repair parts and conditioning products. Our annual maintenance checks keep your heating systems in good working order and help prevent expensive and uncomfortable outages. Fill out this form to schedule yours today! For more information about our Culligan water experts and services, send us an e-mail at culligan@pphak.com.